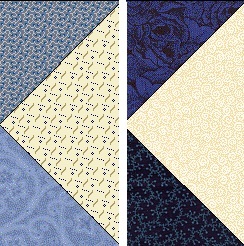 Cutting Instructions: If you are making your quilt scrappy, be sure to use a good mix of different fabrics! (8) 2" x 3 1/2"
Make Half Square Triangles (HST) by placing (1) 4" Background square on top of (1) 4" Light/Med Blue square, right sides together. Sew 1/4" on each side of drawn line. Cut apart on line, and press to Blue. 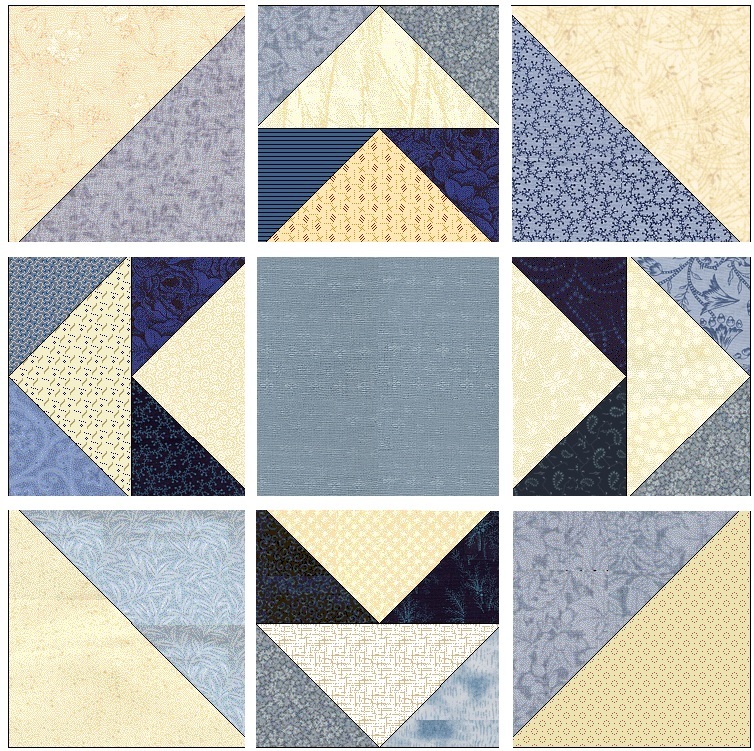 Square up to 3 1/2"
Make Flying Geese units by placing (1) 2" Light/Med Blue square on one end of (1) 2" x 3 1/2" Background, right sides together. Sew on drawn line. 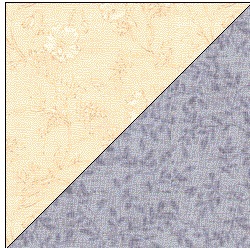 Cut 1/4" seam allowance, flip back and press to blue. Repeat on remaining end of background rectangle. Optional border Star Block #1 HERE.